According to reports from trusted sources such as – 9to5Mac, techradar, BBC & _____ ,reports that we can expect these five announcements at Apple’s Worldwide Developers Conference (WWDC). iOS 9 — The new operating system updates will focus on improving current functions, include a more colorful Siri that resembles the Apple Watch version, and offer new wallpaper made up of blue and green colors. It will also move away from the “Helvetica Neue” font and instead use the “San Francisco” font currently seen on the Apple Watch. Apple Maps update — Mass transit directions will finally arrive to the app, perhaps finally enticing people to start using it. iTunes Radio — Announced two years ago at WWDC, iTunes Radio is finally expected to launch in more countries. As of now, it only works in the US and Australia. There will also reportedly be a paid version of the service that includes unlimited skipping. Beats — Though rumors speculate that a new version of the Beats app won’t be released till late June, the updates to the app are expected to be revealed at WWDC. The new Beats app will reportedly let existing users bring in their old accounts, allow for offline listening, and include “curated playlists.” It will also cost $10 a month. The iOS 9 beta is Apple’s newest operating system for devices like the iPhone and the iPad which has been introduced at WWDC. The iOS 9 is built with more refined features, improved functionality and new performance enhancements. The main focus of iOS 9 is on the intelligence and proactivity, letting the iOS to act on particular information and also opening up apps before you need them. iOS 9 will launch in autumn this year, but Apple wasn’t specific about the date because it doesn’t want to give away the date of the launch of the next iPhone, likely called iPhone 6S or iPhone 7, which will likely be on the same day or two to three days later if history repeats itself. The final build release date has not yet been confirmed by Apple, but it is widely expected to be around September time. Developers can access iOS 9 to play with now, with a public beta also available. Apple has tried to make iOS 9 much more palatable too. Users have previously complained about the amount of free space required when moving from one version of iOS to another. What Is iOS 9 Beta ? What’s unusual is that, like OS X El Capitan, Apple has done public betas for iOS 9. It’s important to remember that beta means unfinished, and the current version does contain bugs (we know because we’re running it). We don’t recommend using it on your main phone. Making proposals on spots we may like, and directing us through our day by day lives to verify the place we should be at the ideal time. Siri is at the heart of the progressions, and the individual collaborator is presently ready to make logical updates and hunt through photographs and features in new ways. Swiping left from the home screen additionally raises another screen that houses “Siri Suggestions,” putting most loved contacts and applications comfortable fingertips, alongside neighboring restaurants and information about area and vital news. More profound pursuit capacities can raise results like games scores, features, and substance from outsider applications and you can even do straightforward transformations and counts utilizing the hunt instruments on your iPhone or iPad. A large portion of the inherent applications have been moved forward. Notes incorporates new agendas and portraying elements, Maps now offers travel bearings, Mail takes into account document connections, and there’s another “News” application that takes in your intrigues and conveys significant substance you may like to peruse. The iPad’s gotten some real element increments in iOS 9, similar to part screen multitasking that lets two applications be utilized without a moment’s delay and a photo in-picture work that gives you a chance to watch a feature while doing something else on the tablet. The console on the iPad has more profound usefulness with the expansion of another toolbar, and on both the iPhone and the iPad, there’s another two-finger swipe signal that makes it simpler to choose substance, cut, glue, and move the cursor on the screen. Different changes incorporate another system wide San Francisco Font style, remote CarPlay support, a optional iCloud Drive application, assembled in two variable validation and discretionary longer passwords for better security. 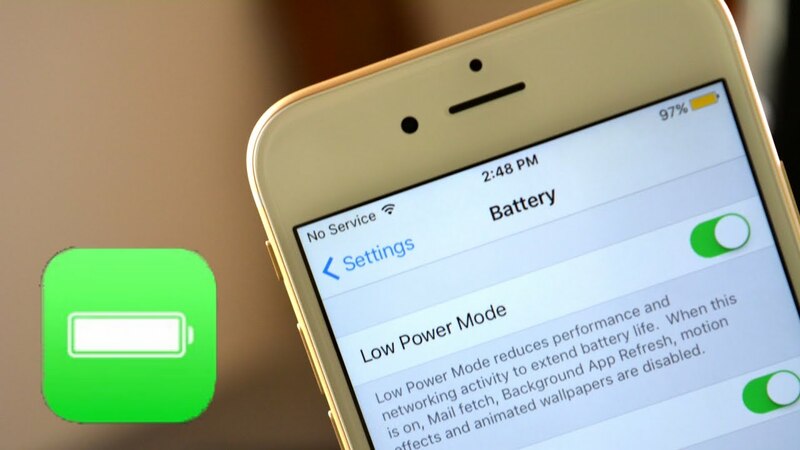 Battery improvements give an extra hour of battery utilization under run of the mill conditions, and a new Low Power Mode further stretches out battery life up to three hours. With application diminishing and size upgrades, numerous application introduce sizes are littler and Apple’s own iOS overhauls will take up significantly less space, so iPhone and iPad proprietors with just 16GB of space will have the capacity to introduce iOS 9. 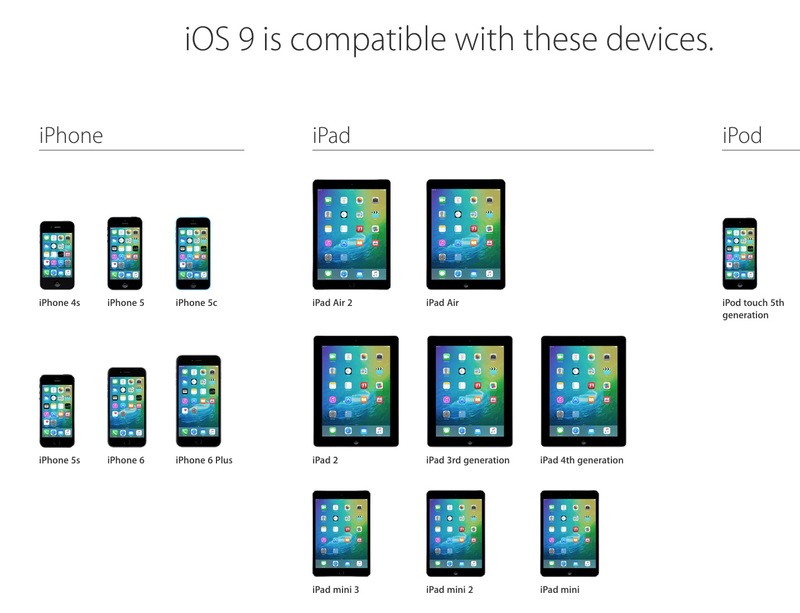 The iOS 9 will likewise keep running on all gadgets fit for running iOS 8, including the iPhone 4s and the iPad 2. The iOS 9 got to be accessible to designers in June, soon after the working framework was uncovered. On July 9, Apple seeded an adaptation of iOS 9 to its open beta analyzers, satisfying a guarantee that beta testing would start in July. Apple has seeded five designer betas and three open betas in this way, with every one presenting new elements and upgrades. Let’s imagine that you often listen to music in the morning, if you frequently listen to music in the morning, iOS 9 will consequently open the Music application to a most loved playlist when you connect to your earphones. In case you generally open up the climate application to check what’s going ahead outside, it may open it consequently after your caution goes off. When you head home from work at night, it may consequently open a guide that incorporates activity examples, or it may let you know to what extent it will take you to return home. At the point when making an iMessage, email, or timetable welcome, iOS 9 will propose individuals you commonly incorporate, making it less demanding to finish things quick. On the off chance that you get an email with a flight reservation or a restaurant confirmation, iOS 9 can make a proposed logbook occasion. For a datebook occasion that includes an area, iOS 9 will evaluate movement conditions and send an update when it supposes you ought to leave to set aside a few minutes. That is why it has been mentioned that iOS 9 is more intelligent thanks to the proactive suggestions. Being the main feature of the addition iOS 9 turns the iPhone into a new lifestyle management tools and make Apple’s so called personal assistant SIRI became more intelligent and responsive and able to complete more task even than before. Siri is also getting some minor improvements, with an interface designed evocative on the Apple watch. If by any chance that you request that Siri “Remind me to do this” when taking a look at a solicitation you’ve gotten in the Messages application, Siri will comprehend what you mean by “this” and will include the occasion. Later, when you take a look at the occasion in the Reminders application, you’ll see that it likewise connections back to the first discussion so you can see the source. Siri is additionally more mindful of area, so a certain update like “Call mother when I get in the auto” will work. Siri will now also be performing the time based searches for photos and videos in iOS 9. For example, you can ask “Show me my photos I took a week ago” and Siri will provide all the appropriate images in the photo app. Searches can be conducted on the basis of dates, locations and album titles. news app in Apple works a lot like Flipboard or Zite , which aggregates stories from a variety of sources and then displaying them in a mobile phone optimized format. The news app will ask you to choose topics and source that you are interested in when you open it initially and from there it will automatically learn about your preferences and will suggest you new reading material accordingly. News app also includes media-optimized editorial layouts for stories with photo galleries, videos and animations. Notes has been revamped with a hearty arrangement of apparatuses that permit clients to embed Reminders-style checklists and make sketches utilizing an arrangement of pens and paints. There’s another Notes choice in the Share Sheet, which makes it conceivable to spare substance from different applications to Notes. For instance, on the off chance that you open the offer sheet in Safari, you can add a URL to Notes. On the off chance that you open it in Pages, you can add a full Pages reports to Notes. This works with a few unique applications, running from Maps to iTunes. For dealing with these connections, there’s another connections program. In iOS 9, there’s an optional iCloud drive app that you can be installed through the iCloud section of the setting app. You can see, access and manage all the files that you have stored within the iCloud Drive; it will prove to be a welcome feature for the customers who have asked for this particular app. In Mail, it’s conceivable to include document connections surprisingly. At the point when forming a message, push on the screen to raise the alternatives menu and select “Include Attachment.” You can include records from iCloud Drive or from outsider administrations like Drop box. Some document sorts are flashed before being added to a message, yet others, as PDFs, are included specifically. ALSO READ How To Manage YouView App? Health can quantify extra measurements in iOS 9, including reproductive health, a greatly asked for highlight. Reproductive health settings screening menustration, basal body temperature, and that’s only the tip of the iceberg. There are likewise new alternatives for observing hydration and UV introduction. The major change to CarPlay in iOS 9 is remote backing and wireless support. In a few cars and with a few frameworks, the iPhone has the capacity associate with the car without obliging a wired Lightning association. CarPlay in iOS 9 additionally incorporates more profound backing for auto control frameworks, so an auto’s handles can be utilized to control CarPlay highlights. Applications created via auto makers are accessible in Apple CarPlay also, so auto elements can be gotten to without the need to leave the CarPlay interface. Apple Pay is being enhanced with the expansion of store Visas and steadfastness cards, driving “Passbook” to be renamed to “Wallet” in iOS 9. Apple Pay is picking up backing for store credit cards and loyalty cards, which has provoked Apple to change the name of Passbook to Wallet. As indicated by the organization, the new name is an impression of its advancement towards supplanting the physical wallet. With the new authentication framework, Apple’s client bolster group will help clients recoup their Apple IDs through a recuperation process if trusted gadgets get to be blocked off and getting to a record to change a secret word is incomprehensible.